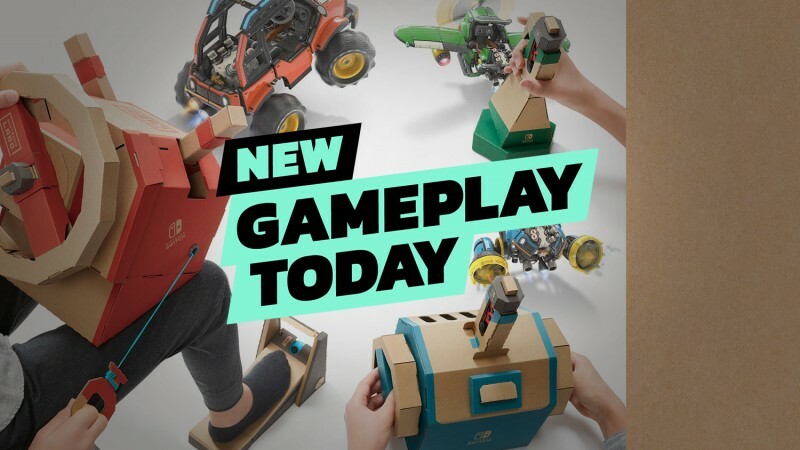 Nintendo's latest Labo kit is here, and instead of building a keyboard or robotic backpack, this one's about vehicles. Kyle assembled it for us, and takes me and Leo on a test drive to show off some of the trouble you can get into behind the wheel (and yoke) of your transforming ride. Once everything assembled, you can cruise around an open world and get into all kinds of trouble. You like helping weird plastic cows? How about flying into the air and landing onto a dirigible? How about building the submarine kit? Or beating your friend in a slot-car mode, but only because you didn't explain what the controls were ahead of time otherwise it would have been a massacre? Those are just a few of the things you can see in today's action-packed extravaganza! Labo Toy-Con 03: Vehicles is available for Nintendo Switch on Sept. 14.